Is it snowing in Grand Tourmalet-Bareges/La Mongie ?Tack! 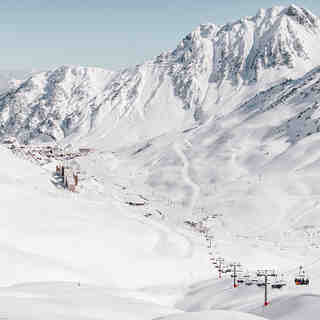 Bareges & La Mongie are part of the Grand Tourmalet ski resort, the biggest ski area in the French Pyrenees. 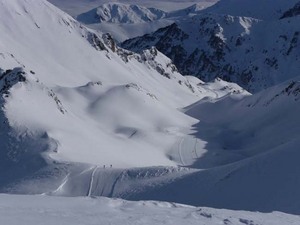 The Grand Tourmalet has over 100km of pistes, 31 lifts and extensive snow making capacity, offering skiers an incredible 1250 metres (4000 feet) of vertical descent. 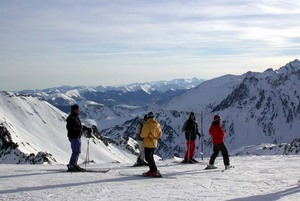 It is a very varied resort, Alpine in style and incorporating 5 different ski areas. 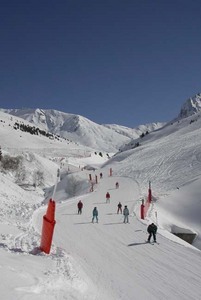 There are accessible nursery slopes, long cruising blues and challenging red and black pistes. For expert skiers, the resort is also famed for its off-piste and has access to the Pic du Midi (2877m), an entirely un-pisted mountain that attracts world cup freeride competitions. There is a large terrain park with boarder cross, big air, bumps, rails and boxes. The nearest airports are at Pau (1.5 hrs) and Ossun (Tarbes/Lourdes) (45 min). Toulouse and Biarritz are within 2.5 hours by car and the nearest train station to Bareges & La Mongie is at Lourdes. Accommodation : the resort has two contrasting centres either side of the Col du Tourmalet ; La Mongie and Bareges. La Mongie is purpose built directly on the pistes with mostly self catering appartments but with a large selection of bars, restaurants & ski shops. Bareges is an authentic mountain village, with a fabulous thermal spa complex, friendly locals, three ski schools, and a good selection of services: cinema, bars, restaurants, 1,2 & 3* hotels and one of the only catered ski chalets in the Pyrenees. Bareges is a friendly, unspoilt and unpretentious spot for some excellent skiing and great value. 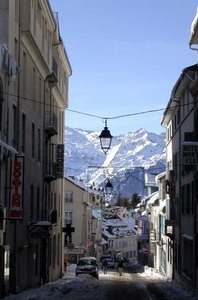 Prices on the mountains and in the village are less than half of what you would pay in the Alps. Easy to get to via flights to Lourdes and the very cheap navette bookable on the Lourdes airport site. Hotel le Central highly recommended.